3 Best Game Capture Cards for Twitch Streaming 2019 (Updated!) | Nerd Much? Twitch streaming has become all the rage, and although your shiny new Xbox One and PS4 have the ability to stream directly to Twitch without getting up from your couch, there’s a better, more interactive way to stream: game capture cards. Why use a game capture card with the PS4 and Xbox One to stream to Twitch? There are quite a number of reasons to use a game capture device for your streaming needs, but it all basically comes down to the amount of control you’ll have with your stream. First and foremost, you have much more control over your stream’s quality when using a game capture card. Consoles mostly use low bitrates to stream, and especially when viewers want to see how great the graphics are for a game like Battlefield 1 or God of War, they want to have the highest quality stream available to them. And, if you don’t have the highest quality stream, they’re going to click out of your stream and find someone who has a great-looking live stream going (trust us, there is ALWAYS someone else streaming). Secondly, you can’t use custom overlays when streaming directly from the Xbox One or PS4 like you can when using a game capture device. It’s important to set yourself apart from other streamers with branding, and you simply can’t do that on consoles without using a capture card. One thing to note here is that the below capture cards do not support 4K streaming. Why? Because Twitch simply doesn’t have the bandwidth to support 4K streaming just yet (although, YouTube does). So if you’re planning on streaming on Twitch (which the majority of you are), this post is for you. If you’re looking for the best 4K capture card for YouTube streaming, it’s the Elgato Game Capture 4K60 Pro. What are the 3 Best Capture Cards for Streaming on Twitch? If you want THE best game capture card available that records full 108op HD at 60FPS, your clear choice is the Elgato Game Capture HD60 S. In fact, they’re really the only game capture card that actually does what it says it does regarding 1080p 60FPS recording. Basically, your recorded footage looks great with minimal to no noticeable compression. It streams at up to 40 Mbps, but since Twitch only supports a max bitrate of 3500kbps anyway, that’s pretty much irrelevant for streaming. Video quality looks astounding and even during fast gameplay, your recording is pretty much flawless. Rarely did we see any blips, skips or dips in framerate when recording. Of course, if you’re not an advanced computer user, you’ll find issue with the fact that the HD60 doesn’t come with a quick start guide for the software. Basically, you’re left up to trial and error (or a Google Search). We didn’t have any problems setting it up or using the software, but if you’re not up on your software game, it would likely be an issue. One of our minor gripes with the Elgato HD60 is that the company chose to put the HDMI IN and HDMI OUT ports on opposite sides of the card, which looks a bit messy on your desk, whereas the AverMedia Live Gamer Portable can sit on your desk with the cords properly organized and coming out of the back of it. Sure, it’s a minor issue, and certainly not worth picking one over the other, but it IS a minor annoyance, especially if you have OCD like I do. 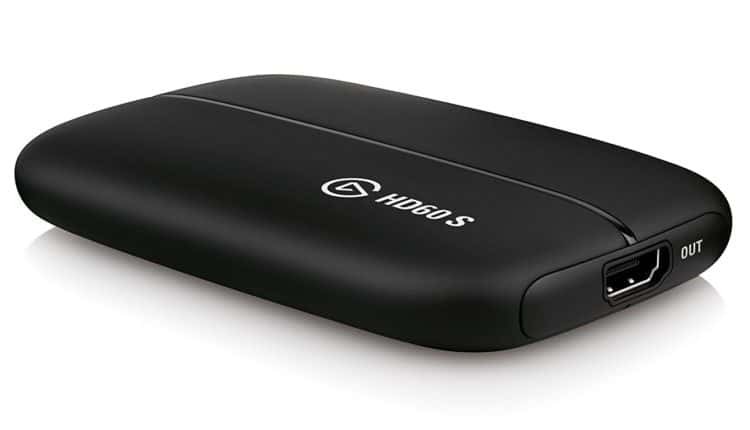 But generally speaking, the Elgato Game Capture HD60 S records the best quality footage and will provide you with the best quality live Twitch streams. Read more about the HD 60 S here. Included Software RECentral is meh. Buy the AVerMedia Live Gamer Extreme here. 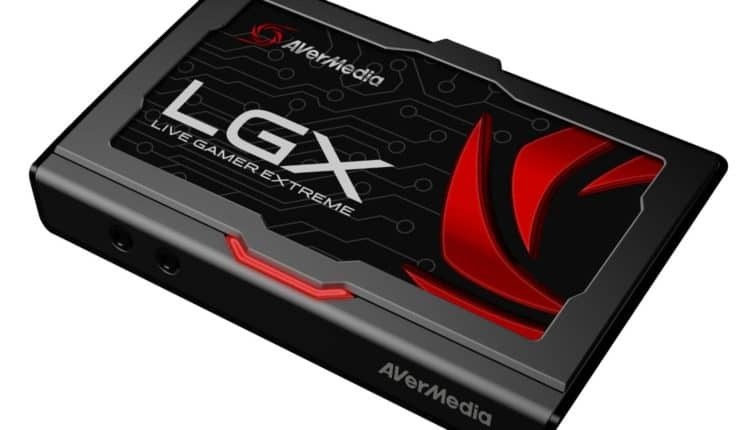 AVerMedia’s Live Gamer Extreme also records at 1080p HD for the PS4, Xbox One and Switch, and it also records at a full 60fps. The biggest difference is the fact that the Live Gamer Portable also allows users to record PC-free, meaning you can record directly onto an SD card for editing later. 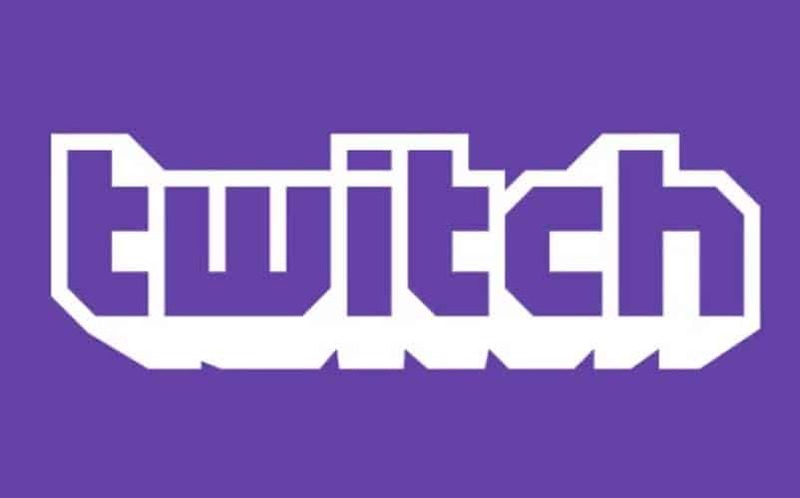 It also includes a 3 month premium license of XSplit Broadcaster software, which is one of the most commonly used pieces of software for Twitch Streaming. The Live Gamer Extreme uses an on-board H.264 hardware encoder that guarantees low CPU usage and a smaller file size even when recording in full HD. It uses 1080p 60FPS passthrough, but only records in 1080p 30fps. It streams up to 60Mbps, and has a simple record-now button on the unit itself so that you don’t even have to look at a PC while recording. AVerMedia’s box also has the Time Shift feature, although it only works with the TS video format. If you’re looking for a capture card that’s slightly more customizable than the Elgato HD 60 (which is essentially just a small black box), then the Live Gamer Extreme is a good choice for you. Otherwise, I’ll note that it’s slightly bigger and weighs twice as much as the HD60 S — so it isn’t as portable as the slightly more expensive option. Still, from a technical standpoint, you’re getting the same quality output as the HD60. Read more about the Live Gamer Extreme here. Buy the Hauppauge HD PVR 2 Gaming Edition Plus with Digital Audio here. Another great option for game capture cards is the Hauppauge HD PVR 2 Gaming Edition Plus with digital audio. It uses H.264 encoding in HD to capture gameplay in HD quality. It has both component and HDMI connectivity options (cables included) so that you can stream your Xbox One, PS4, Wii U, Xbox 360, PS3, retro consoles, etc. 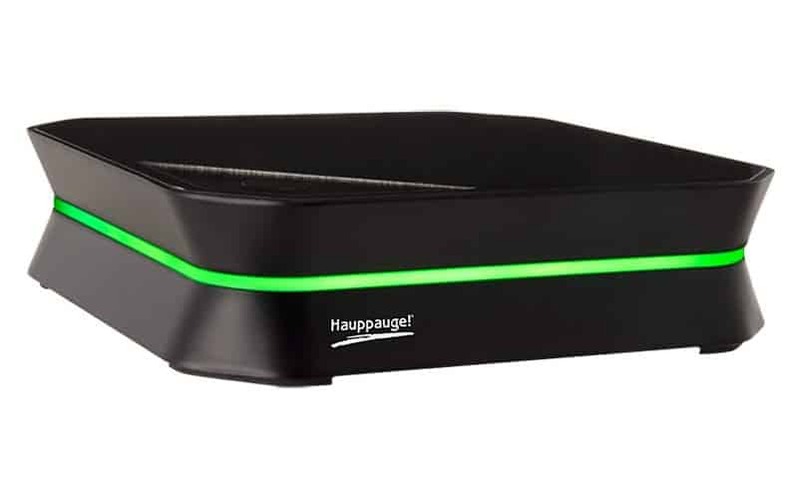 The Hauppauge PVR 2 supports 1080p60 passthrough, 1080p streaming at 30fps, and 60fps at 720p. (NO, it doesn’t RECORD at 1080p60FPS. Bummer). It also has a max bitrate of 14Mbps, but if you’re using it to stream on Twitch, again, it doesn’t really matter. The Hauppaughe HD PVR 2 works on both Macs and PCs. It uses the Hauppauge Capture application (free to download) which has a quick response record button and an easy-to-use editor. With that being said, you’re better off skipping their software and using OBS or Xsplit to stream for more control and a familiar interface (if you’ve used either of those pieces of software before, that is). The Plus edition also has an optical SPDIF connector for your surround sound, but if you don’t need it, opt for just the standard Hauppauge HD PVR 2 Gaming Edition. Of course, the Hauppauge also looks great while you’re recording, although most people (like myself) don’t place much importance on that. Unfortunately, it’s also quite a bit bigger than the Elgato HD 60, coming in at 5.2 x 7.5 x 7.5 inches. So if desk size is an issue for you, it’s another reason to spend a little more on the Elgato HD60. You’re also going to want one of the top 3 best routers for PS4 and Xbox One. Read more about the Hauppauge brand here.